At the front of the car, unlatch the charger door and remove the rubber dust cover from the charger to reveal the charging socket. Please note that you won't be able to open the grille after you've ended you trip. If you accidentally ended your trip before opening the grille, It's totally OK, just get touch via the messenger in the app and we'll sort it out. Grab the charger cable from it's holster and gently plug it into the front of the car. You're now charging your Mevo up for it's next adventure, great job! 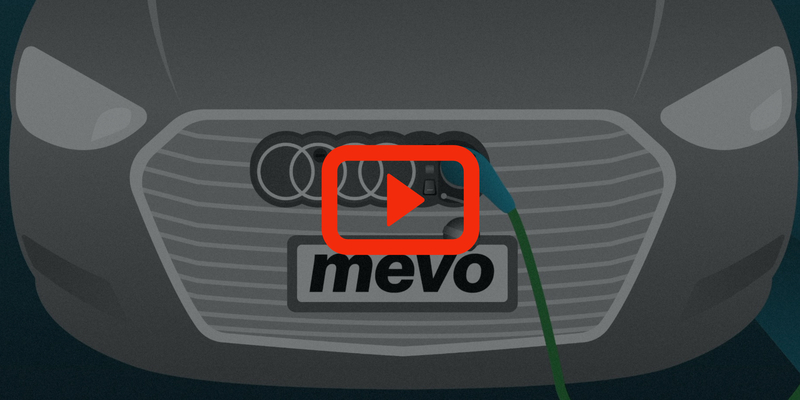 Check in app to find designated Mevo charging locations marked by the "P" symbol and description.